Having a basement can be a blessing or a curse. On one hand, you have lots of extra storage space. On the other hand, it can quickly become a dumping ground for all that stuff you never get around to organizing. 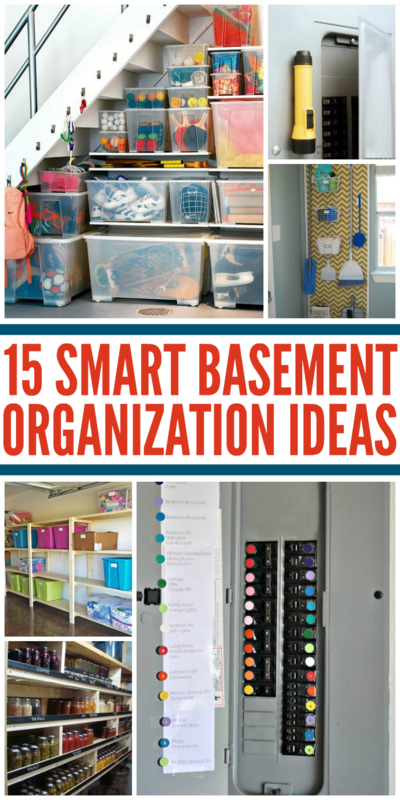 If your basement is chaotic and cluttered (I know ours is), here are some basement organization tips to inspire you. Let’s make the most of our storage space! This is brilliant. 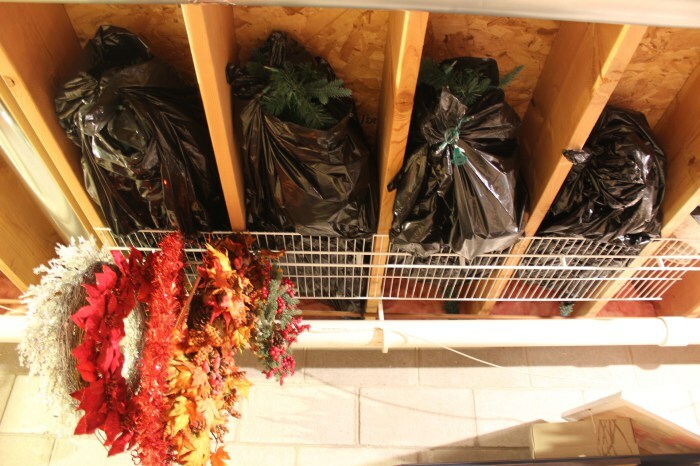 Add wire shelves to your basement ceiling for storing lightweight (but still bulky) items like your Christmas tree and holiday decorations. 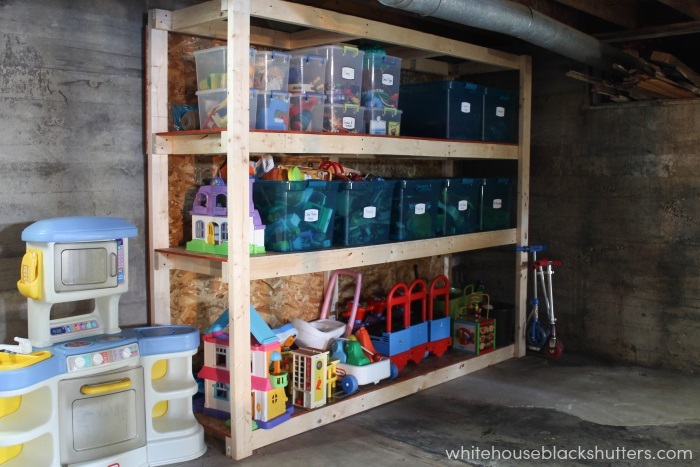 Keep most of your kids’ toys in the basement, and only bring up new ones when they tire of the current toys. This keeps clutter manageable in the rest of the house. 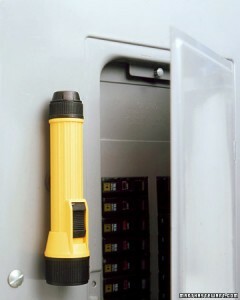 Put a flashlight on your fuse box so you never have to fumble around in the dark looking for the right switch. 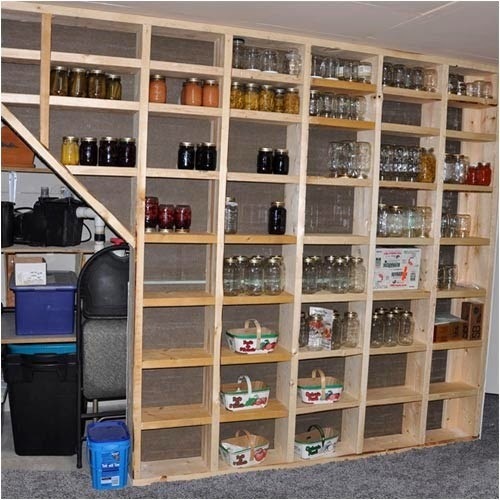 Have an unfinished basement? 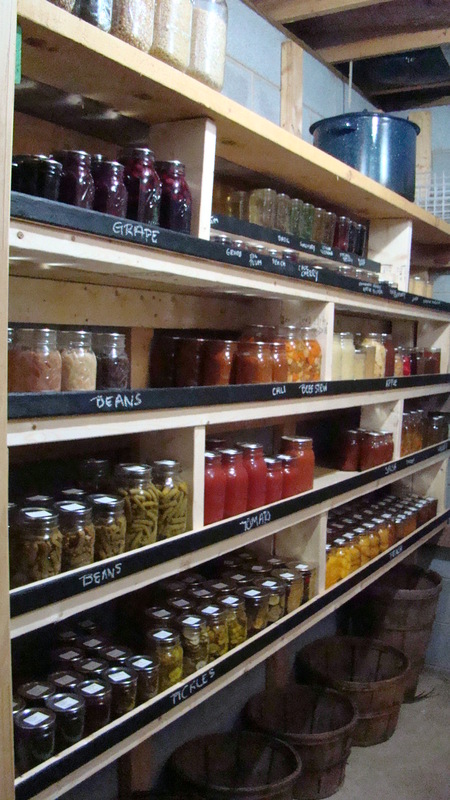 Put shelves between the wall studs to hold things like canned food and hardware. 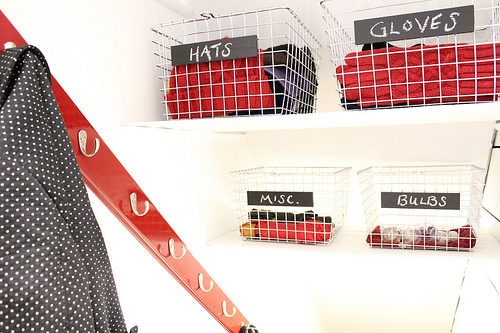 Go a step further with this basement organization hack: add 1x2s in front of each section, and paint them with chalkboard paint. You can then label what goes in each section. 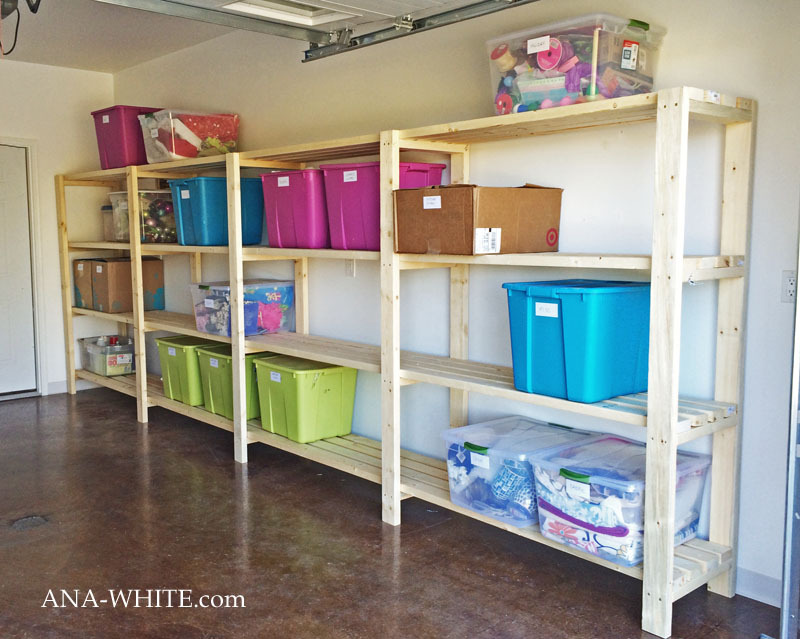 Build your own storage shelves with these free plans. 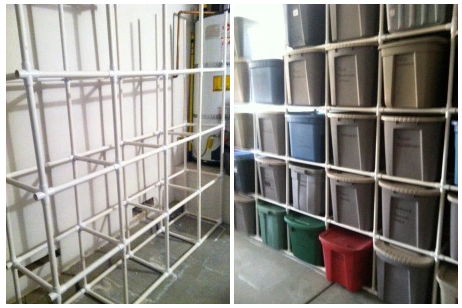 Or try your hand at a diy tote organizer made out of pvc piping. 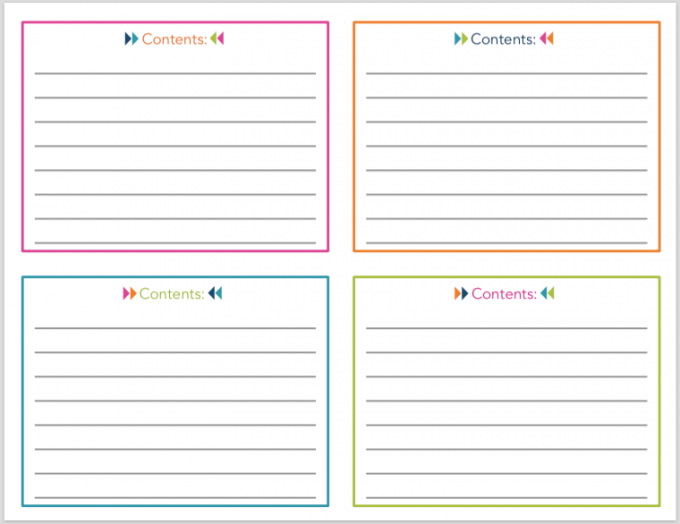 Use these printable labels to label your storage bins. If your shelves are deep, I suggest putting labels on two sides. Don’t forget to take advantage of that awkward space under the stairs. 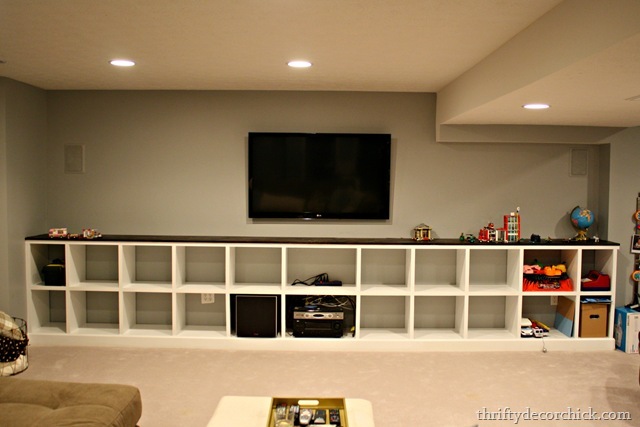 Built-in cubbies can go a long way toward keeping your basement organized, especially if the basement doubles as living space. Make use of the space going down the stairs into the basement. Here are hooks installed along the stair rail and wire baskets in the ceiling of the stairs. Smart! 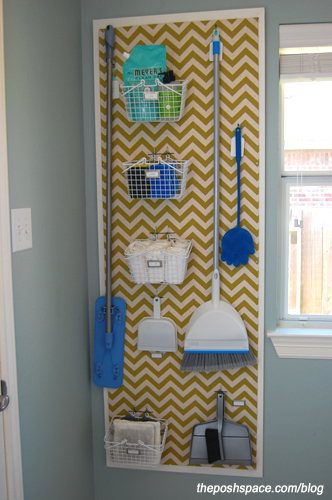 Or maybe you’d like your cleaning supplies on a pegboard on that wall instead. 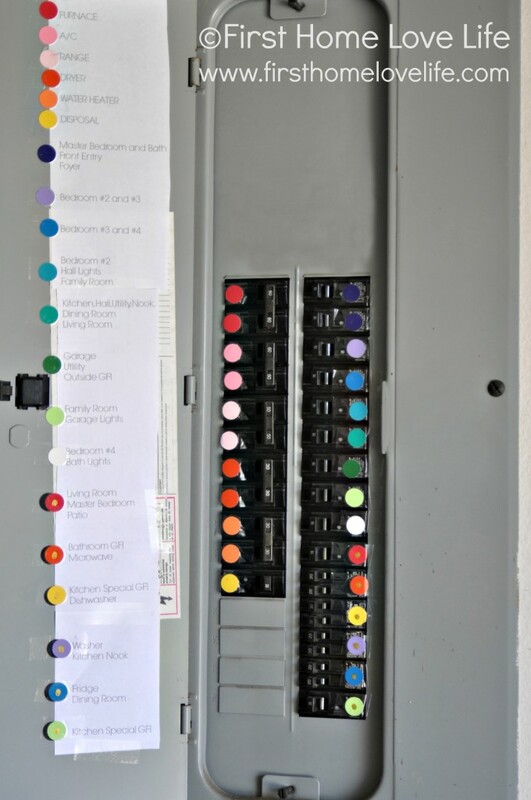 Color code your circuit breaker box. It saves so much time figuring out which switch you need to flip! 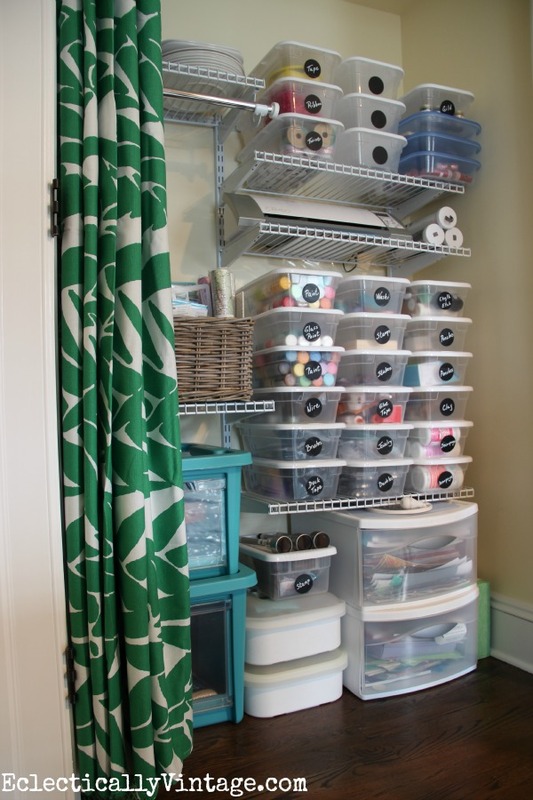 If you don’t like the looks of lots of shelves (especially when you have lots of small containers making it look a little cluttered), hide the shelves behind a pretty curtain. 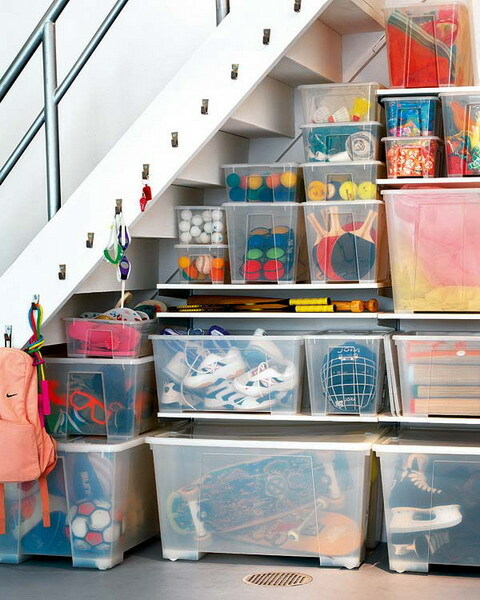 Need more organizing ideas to get your home in order? 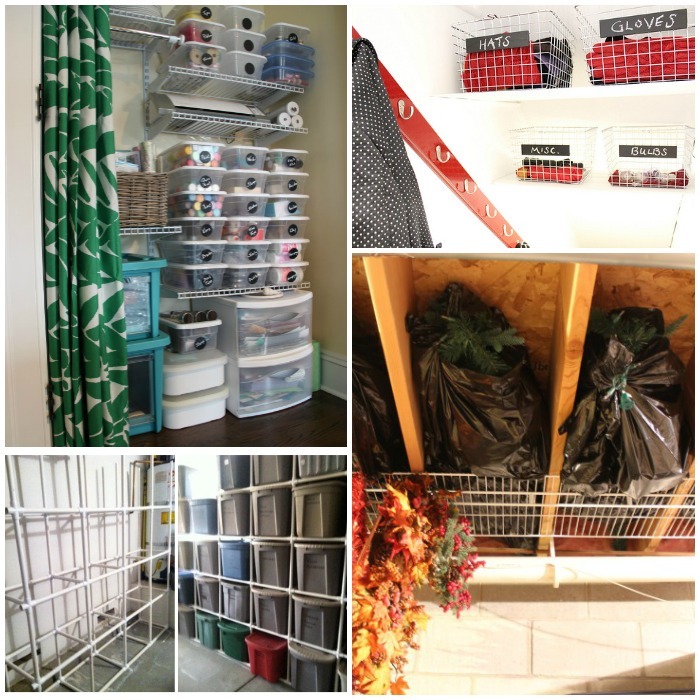 Check out our garage organization tips and space hacks!